Home / ESports / Why don’t esports organisations care about Heroes of the Storm? Why don’t esports organisations care about Heroes of the Storm? Heroes of the Storm’s esports league keeps rolling, but organisations still aren’t interested. What’s going on with Heroes of the Storm’s esports scene? 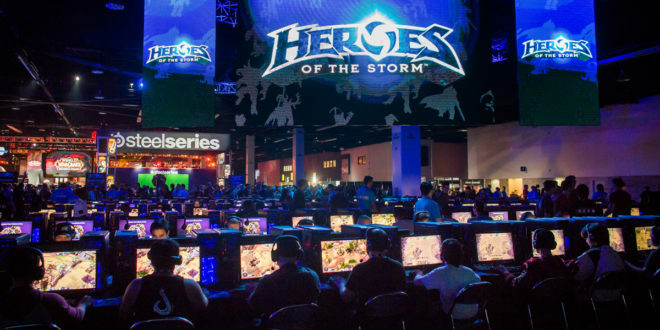 BlizzCon 2014 saw the first iteration of Heroes of the Storm esports on stage. 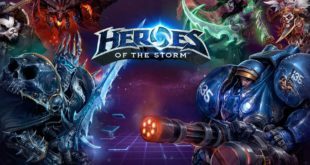 At that time Heroes of the Storm was still in technical alpha and although there were virtually no other tournaments (other than Kings of the Storm which had no prize money) all four of the invited teams were represented by major esports organisations: Cloud9, Evil Geniuses, Fnatic, and Team Liquid. At that time everyone wanted to be involved in Heroes esports even though it was still in alpha. 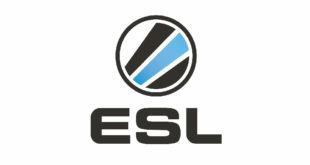 Fast forward seven months later with the full release in June 2015, Blizzard began setting precedent with how they would structure Heroes esports. Although it has evolved greatly since then, it seems like major organisations are less and less willing to get involved with Heroes esports. Heroes esports in 2015/2016 was a bit messy. The season was marked by production disasters, scheduling conflicts and a rosterpocalypse — players shifting and shuffling — at the end of every event (and sometimes qualifiers), this all created fuel for instability. Blizzard introduced a major change in the format of Heroes with the “Heroes Global Championship” for 2017. This brought along schedule and broadcast consistency along with guaranteed salaries for the top eight teams in the four major regions: North America, Europe, China and Korea. $50,000 is promised to each team per phase with two phases a year. 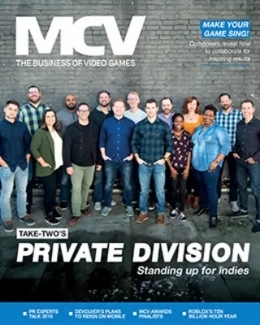 Assuming a specific team doesn’t get relegated in The Crucible at the end of each phase, that comes to $20,000 a year per player which is right under the minimum wage line for the state of California, where Blizzard is headquartered. Of course that doesn’t factor in tournament winnings, stream earnings, sponsorships, etc. but when the only competition to play in is HGC, there’s not much of a choice. Some organisations, albeit sleazy, could also think they don’t need to pay their players because they’re already making a salary from Blizzard. We’ve already seen that instance with the European team Playing Ducks recently. I'm extremely disappointed that @PlayingDucks have not paid their @BlizzHeroes players for 4 months. Disgraceful. While the salary promise is a huge step up for players from previous formats, they still need a structured organisation to stay afloat if they hope to become full time, long term professional players. At the Mid-Season Brawl, Heroes’ esports lead Sam Braithwaite stated: “We think with the plans we already have in motion, there won’t be any unsponsored teams in 2018.” There’s no telling what’s planned but hopefully there will be some acceleration on Blizzard’s part to attract well endowed organisations. Braithwaite also admitted there were a lot of firsts for the Heroes esports team this year: “We’ve been working hard to get things done. Let’s see where we’re at a year from now, two year from now." While the format change was much needed for North America and Europe, Korean teams have been the most outspoken against the HGC 2017 format. This is a bit concerning since Korea is typically the lifeblood of all esports. Pre-HGC, Korea and China already had their own league system and played weekly in front of a live audience. The decline in the strength of the Korean scene can be concerning for organisations from any region. The HGC format was also quite damning for minor regions. Essentially nothing changed. They don’t get the league format meaning they play in a few qualifiers, then a regional to feed into one of the international tournaments, which doesn’t guarantee consistent play and practice. Few of these broadcasts are even in English, not giving much publicity to their region. 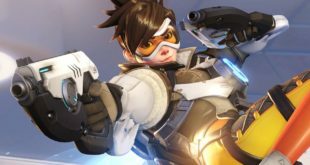 With the beginning of Phase Two, Blizzard also change the region locking rules, allowing players from minor regions to move and join teams in major regions. Where is the improvement of synergy and teamplay? Obviously Blizzard can’t regulate all regions with a league but with the focus now completely on the major four it’s difficult to enter Heroes esports as a small region. This lack of virtually any support is an eyesore for organisations in smaller regions hoping to break into Heroes esports. In the beginning there were TONS of third party tournaments for competitive Heroes; Kings of the Storm, Enter the Storm, Go4Heroes, and while the payout (if any) wasn’t much sponsored organisations were playing. They had all these opportunities to play and get experience. Everyone wanted to be ready for Blizzard to announce their big esports initiative for Heroes. After that, there was only the Heroes World Championship. HWC was a scheduling nightmare. Qualifiers were announced weeks before they were played then after that the qualifying teams essentially waited for their respective regional which was typically months later. Teams had virtually no practice time other than scrims. While third party organizers tried to reel in tournaments for the big name teams to play in, most failed due to no financial backing or schedule conflicts because Blizzard usually released the schedules late. The catch-22 of the HGC format is while it’s great to have consistent play on the weekends, that leaves virtually no room for third party organizers to host their own. Arcane8, lead by Heroes caster SolidJake, hosted a tournament named Bloodlust which took a page from the DOTA2 playbook by fundraising most of its prize money. While it was only $10,000 and an 80/20 split for first and second place, it was something else for teams to play for other than HGC. 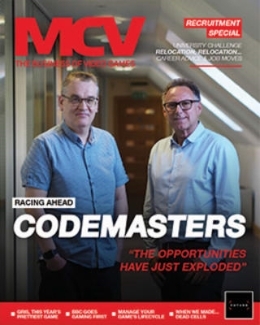 Besides sponsorship, the only other way for organisations to make money is from tournament winnings and if a team doesn’t advance to either of the two Clashes or the Mid-Season Brawl, there’s no other way for them to make a return on the investment. Blizzard has since partnered with Twitch to allow Cheering for specific teams, essentially crowdfunding salaries, but those numbers fluctuate. Grassroots tournaments fuel esports and while there were a lot of independent tournaments at the beginning of Heroes esports, there aren’t really as many that plan on having big enough tournaments for teams to play for. Without third party tournaments, many organisations are stuck with Blizzard’s rules, and if there are problems with HGC, many are going to leave the game instead of compete in different tournaments. Game updates are released about every two weeks and new heroes about every three weeks. In 2017 alone there have been 13 new heroes. Changes like map pools and hero modifications can be difficult for players to adjust within such a short period of time when played weekly. While HGC is primarily played on the tournament servers, players have to practice on them along with practicing on the live or PTR servers to prepare for a patch. So at any time pro players have to balance three different server scenarios. This makes the meta somewhat of a nightmare not to mention the game has been out of beta since June 2015 which you would think would mean not as many balance patches would be necessary. 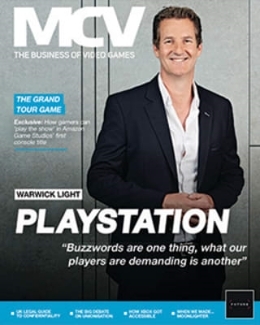 The instability of the game alone can scare organisations, if the game itself doesn’t have a strong structure, why should they trust the esports division to be? As a current example, we’re now weeks away from BlizzCon with a fairly large update recently and while at first Junkrat was allowed, Blizzard went back on the decision and decided to not allow him at the HGC finals. 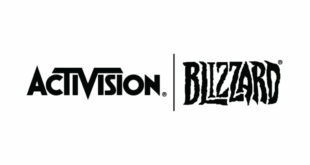 It’s pretty obvious that Blizzard is putting all of their resources solely into Overwatch and now the Overwatch League. Heroes employees are moving to Overwatch, and less and less focus is on the rest. It’s not necessarily the mentality of “we don’t care about Heroes anymore”, instead it’s just being put on the back burner while they attempt to completely change the frame of esports all together with the Overwatch League. Not to mention that the lack of information released for some time caused some to lose faith. This mentality can scare organisations away from Blizzard games all together with the fear of instability or support from developers. While Blizzard has taken feedback quite well in forming the HGC, there’s no telling if it will change, yet again, in 2018 to a completely different league as they’ve done in the past. Almost three years into Heroes esports and there’s still no consistency. While Heroes esports has been around for some three years now, Blizzard and it’s community is still experiencing some growing pains. It’s obvious with the HGC format they’re paying attention to feedback and applying it to new strategies. Sam Braithwaite claims no teams will be unsponsored in 2018, and as long as they, and pro players themselves, continue to address feedback we can only hope that will come true.